Bigg Boss Season 12 Episode 84 : Saba Khan Enters The House Again! Salman Khan introduced the Family Week on Sunday and the contestants couldn't have been happier because they got to meet their family members after two months. Surbhi's brother, Karanvir's wife and kids, and Sreesanth's wife entered the house day before yesterday. Meeting their family members made the contestants extremely emotional. 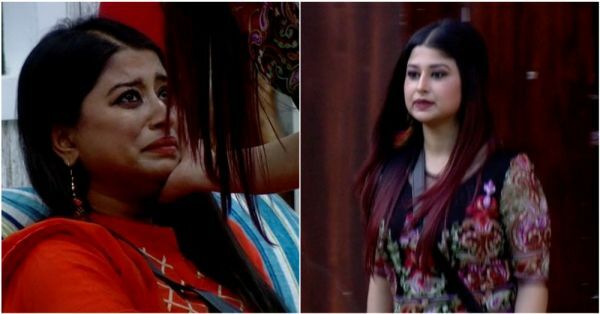 Last night was all about tears of joy and an unexpected revelation from Somi's sister and former Bigg Boss contestant, Saba Khan. In case you missed what happened last night, we have the highlights for you. Read on to find out! Romil was seen sitting alone in a corner and talking to the camera while Deepak and Surbhi sat in another corner and kept taunting him. He justified himself on camera saying that he is not the double-faced person that Deepak and Surbhi say he is. He also said that even though he's left all alone in the house now, he's okay with it and doesn't need anyone. He went on justifying himself and clarifying that he has never used his friends for any reason, be it tasks or captaincy. Continuing the Family Week, Bigg Boss paused all the housemates and that's when Romil's wife entered the house with their son. She went to Surbhi and thanked her for taking care of Romil like a sister. She walked up to Deepak and told him that Romil really loves him like a younger brother and he shouldn't cut ties with Romil. Bigg Boss said 'Play' and Romil ran towards his wife and son and hugged them. She bonded well with Somi and told Dipika that she was happy that Dipika and Romil are friends now. Bigg Boss once again paused the contestants and that's when Somi's sister and ex-Bigg Boss season 12 contestant Saba Khan entered the house. Somi couldn't stop crying on seeing her sister. Saba spent a great time with everyone in the house and revealed something unexpected. She told Somi and Romil that the audience isn't able to understand their equation and her family is also uncomfortable with their bond. Somi was taken aback. 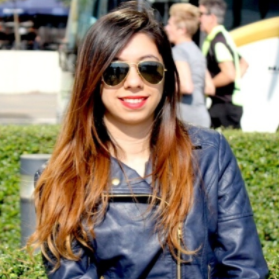 She looked at the camera and tried to clarify her stance and her relationship with Romil to her mother. Right after Saba left, Romil and Somi decided to have minimal interaction in the house, so people wouldn't take them otherwise. Dipika was getting anxious sitting in the garden area, waiting for Shoaib to enter the Bigg Boss house. She started reciting shayari written by him to Sreesanth. A voice came from the confession room completing the Shayari and Dipika started crying. Shoaib came running from the confession room to hug Dipika. Both of them got very emotional on seeing her after two months. Shoaib told Dipika that he is proud of her and loves her unconditionally. He then met everyone in the house and spent time with the housemates. Dipika prepared halwa for everyone and before leaving the house, Shoaib went down on his knees and gave Dipika a red rose.